The man who allegedly stabbed nine people, including six children, at a young girl’s birthday party wanted revenge after he was asked to leave the apartment complex, police have revealed. 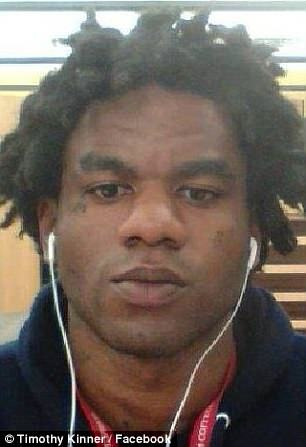 Timmy Kinner, 30, allegedly attacked the birthday girl, a three-year-old child, as well as two four-year-olds and children aged six, eight, and 12 at the apartment in Boise, Idaho. All nine victims came from refugee families that had resettled from Syria, Ethiopia and Iraq. First responders found them bleeding in the street and hallways. Kinner, of Los Angeles, has been charged with nine counts of battery-aggravated assault and six counts of injury to a child. Authorities said Kinner had been staying at the complex with a female resident who wanted to give him a ‘helping hand’ after he fell on hard times. 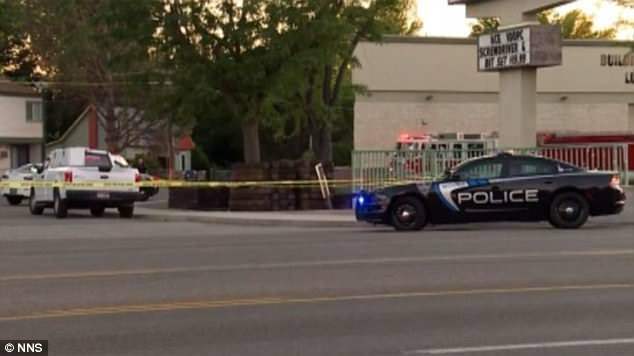 But the woman asked Kinner to leave on Friday after their arrangement ran into issues, according to Boise Police Chief William Bones. Kinner left the apartment ‘peacefully’ but, according to police, was planning to ‘take vengeance’. He allegedly unleashed his attack Saturday night at a birthday party that was occurring just a few doors down from the apartment where he had been staying. The woman who had offered Kinner a place to stay was not at the complex at the time of the attack. It remains unknown if Kinner decided to attack the birthday party when he realized she was not at home. They were all hospitalized and some had suffered life-threatening injuries. ‘The level of some of the injuries will be life-altering in a very negative way,’ Bones said. ‘This is an attack against those who are most vulnerable, our children,’ he added. ‘It’s untenable, unconscionable and is pure evil in my mind. Bones said there is no evidence that the attack was a hate crime. Kinner has a lengthy criminal record. He has served prison time in Kentucky and has been arrested for ‘violence against others’ in the past, according to Bones. He was arrested on Saturday night near the complex after witnesses told police that the suspect had fled. Police have not released the names of the victims, but said their ages varied dramatically and ‘it’s affected all aspects of the families’ who live at the complex. A ‘large, folding-blade’ knife that police believe Kinner used in the attack was recovered from a nearby irrigation canal that runs through the city.